AI-aided rendering brings lifelike lighting elements to your work by accurately modeling the behavior of light and materials in real space. Deep Learning discerns patterns and outliers from vast datasets to uncover previously hidden correlations or causalities. Robotics driven by AI, capable of adapting to changing environments, are keeping human operators safe from potential harm. Artificial Intelligence is the future; PNY and NVIDIA want you to be part of it. After NVIDIA’s upcoming and exciting GTC announcements PNY will present a manufacturing webinar on April 11, offering a look into a future augmented and advanced by AI technology. 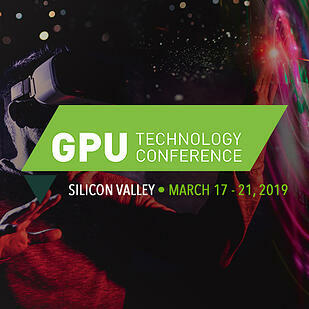 Stay informed with all the latest news on Industry 4.0 and Quadro RTX-powered AI, and how RTX AI and real-time rendering synergistically open new avenues for design and manufacturing professionals by visiting our booth # 1133 at GTC 2019, PNY’s website, or register for the upcoming webinar, and be a part of the future.